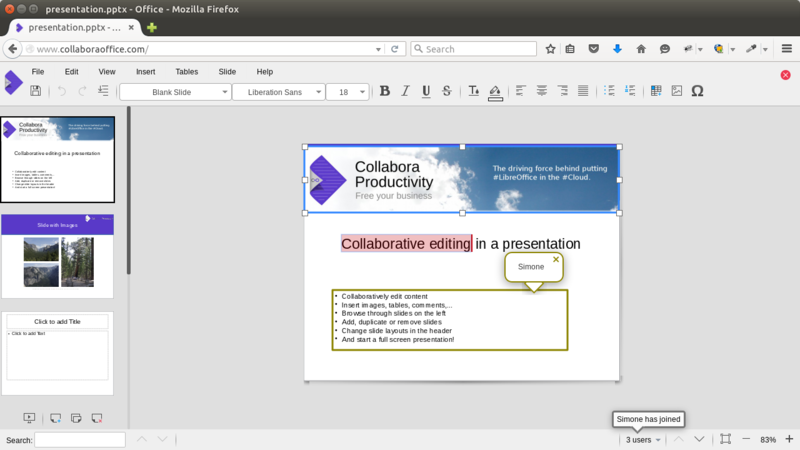 Cambridge, United Kingdom – December 7, 2016 – Collabora Productivity, the driving force behind putting LibreOffice in the Cloud, is thrilled to announce the release of Collabora Online 2.0, which includes collaborative editing, for the first time, into the latest edition of its flagship enterprise ready cloud document suite solution. for Enterprises that want a powerful office suite in the cloud, or on-premise, that protects their privacy and allows them to keep full control of their sensitive corporate data. for Hosting and Cloud businesses who wish to include document viewing and collaborative editing functionality into their service offering. 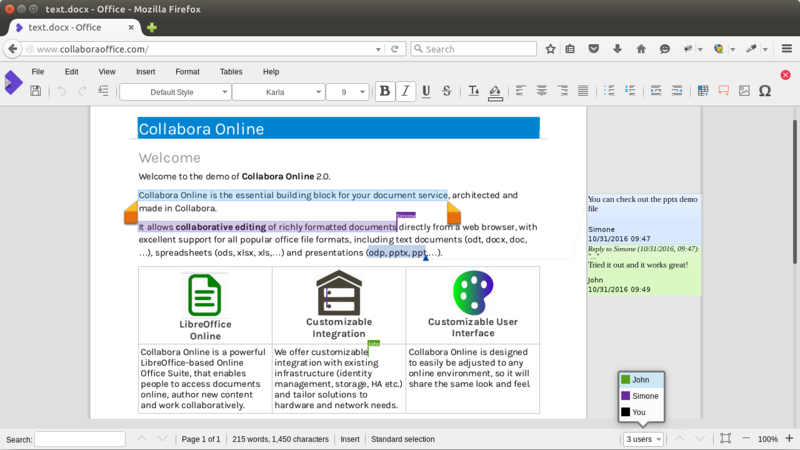 Collabora Online is suitable for large scale deployment, comes with an SLA, Long Term Support with signed security updates and implements collaborative editing of richly formatted documents directly from a web browser; with excellent support for popular office file formats, including text documents (odt, docx, doc,…), spreadsheets (ods, xlsx, xls, …) and presentations (odp, pptx, ppt,…). 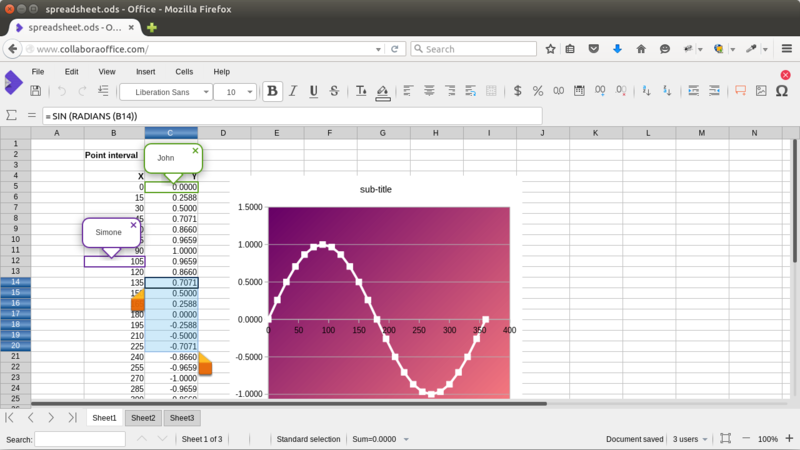 Enterprises interested in using Collabora Online can check out www.collaboraoffice.com for more information on partner integrations and online demos. For tailored solutions, contact sales@collaboraoffice.com. VNC – Virtual Network Consult is a leading developer of open source based business software, a business cloud integrator and a specialist in commercial open source solutions. VNC provides services to organizations and businesses of all sizes – from small and medium businesses to globally operating corporations. Our services range from platform data center solutions to complex business applications – mobile and suited to the needs of each client. For more information, visit www.vnc.biz and http://vnclagoon.vnc.biz. Pydio is the world’s largest Open Source file sharing and synchronization focused project for the enterprise. Pydio is a founder owned company. The Pydio Project delivers a sustainable balance between enterprise customers needs and Open-Source collaborative spirit. Sold in 25 countries, from Cupertino to Singapore, Pydio is used by leading brands such as Nikon, Ion Geophysical, and Guitar Center. Pydio also serves education and government clients such as Cambridge University (UK) and ADEME (France). It currently has over one million downloads. Our Kolab Enterprise professional services “tiger team” is made up by highly qualified system experts. They will help you get the most out of your installation and will handle even the most advanced deployment scenarios. For more information, please visit www.kolabsystems.com and follow @KolabSys on Twitter. The latest docker still reports version 1.9.8.. Can you upgrade ..?